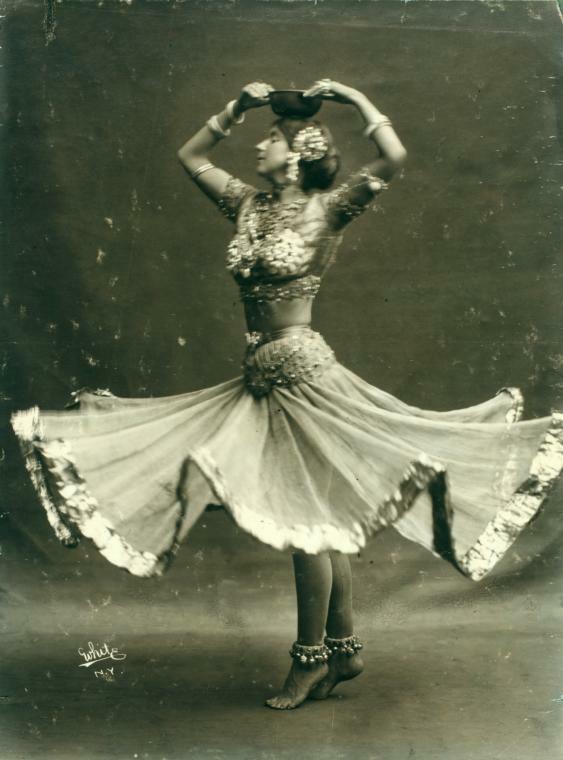 Ruth St Denis blended her fascination for exoticism and spirituality with dance. She is considered to be one of the pioneers of modern Western dance, is credited with introducing Eastern dance styles to the West, and her first ever choreography was inspired from stories of Hindu mythology. However, though her East-inspired choreographies were not particularly culturally accurate or authentic, they fed the audience’s fascination with the Orient. Ruth St Denis was born in 1879 and grew up on a farm in New Jersey, US. She started learning dance when she was very young, and moved to New York in her teens where she started her professional career in the city’s vaudeville houses and dime museums. Her stage name back then was: The Only Ruth. A Broadway producer and director, David Belasco, soon spotted her, and signed her on with his company, with which she toured the US and Europe. 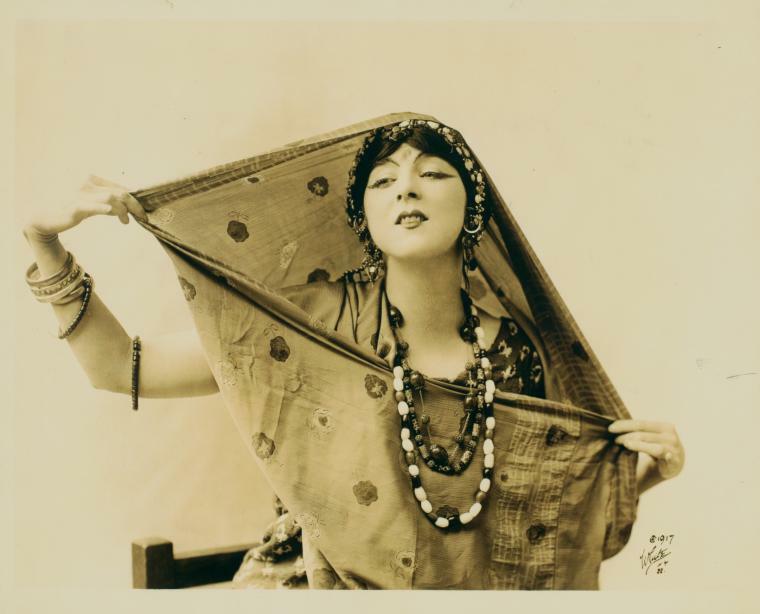 Ruth St Denis in 'Radha'. (Image courtesy: New York Public Library). Denis said that she felt the spiritual elements in nature from a young age. In her autobiography, Denis wrote: “When as a child running over the fields of our farm I felt the joy of life pulsing through me, when I felt the warm earth under my feet and the great golden sun bathing my body, then I knew life as a magical reality”. Denis later started a dance company, Denishawn, along with her husband Ted Shawn, which produced the next generation of modern dancers like Martha Graham, Doris Humphrey and Charles Weidman. 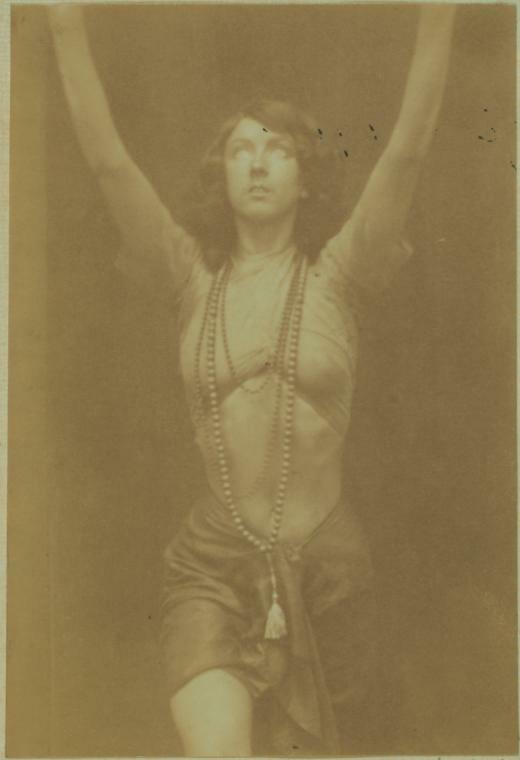 Ruth St Denis in 'The Yogi'. (Image courtesy: New York Public Library). 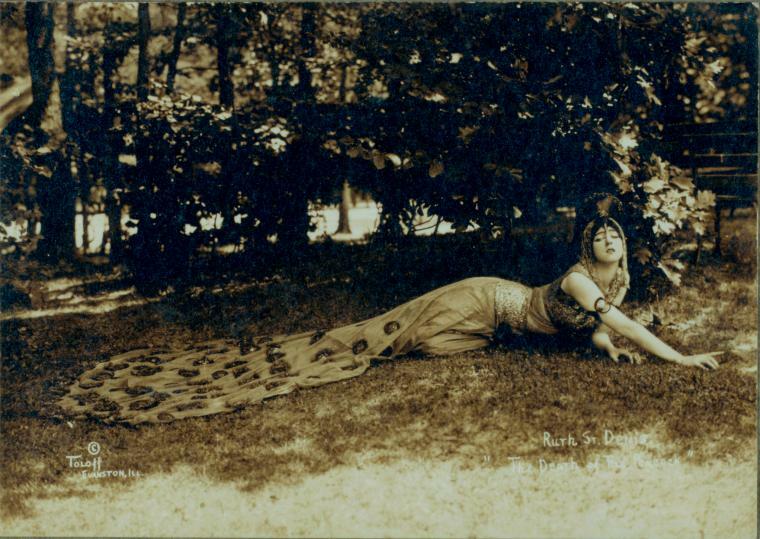 Ruth St Denis in 'The Peacock'. (Image courtesy: New York Public Library). Denis believed dance to be a spiritual expression, and her choreography and repertoire reflected her life-long interest in spirituality and exoticism. 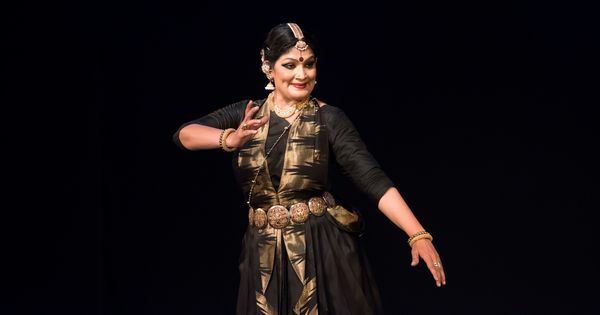 Her first solo production, Incense, was based on the incense burning ritual as practiced by Hindus. Her body moving fluidly amid ascending spirals of smoke made for a mesmerising performance. Some of her other iconic solo performances are The Cobras and Radha, which only further emphasised her commitment to integrating dance into spiritual practices (Hindu rituals in particular). 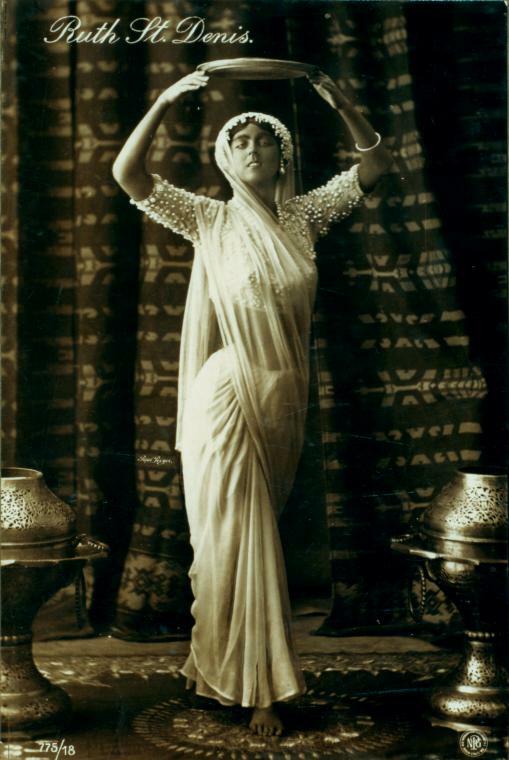 Denis draped saris, wore long skirts, elaborate head dresses and ornaments for her performances. 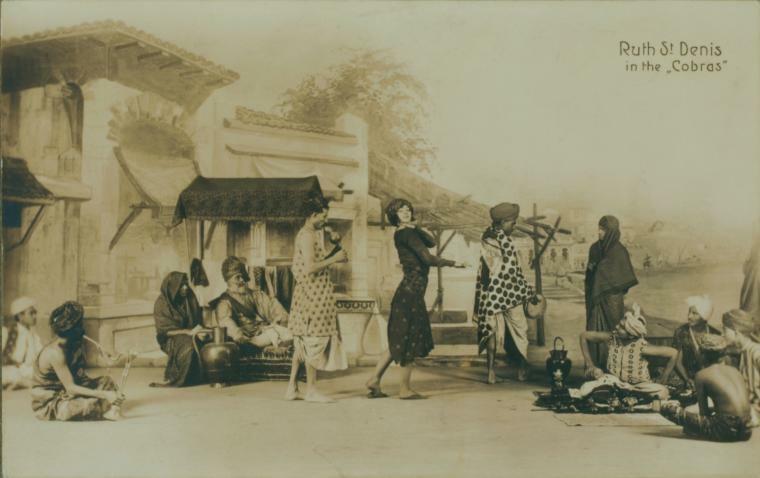 One of her productions also touched upon the form of dance practiced by the nautch girls of India. Titled East Indian Nautch Dance, the choreography had Denis dressed in a black and gold layered hoop skirt and a blouse, similar to the ghaghra and choli worn by nautch girls. 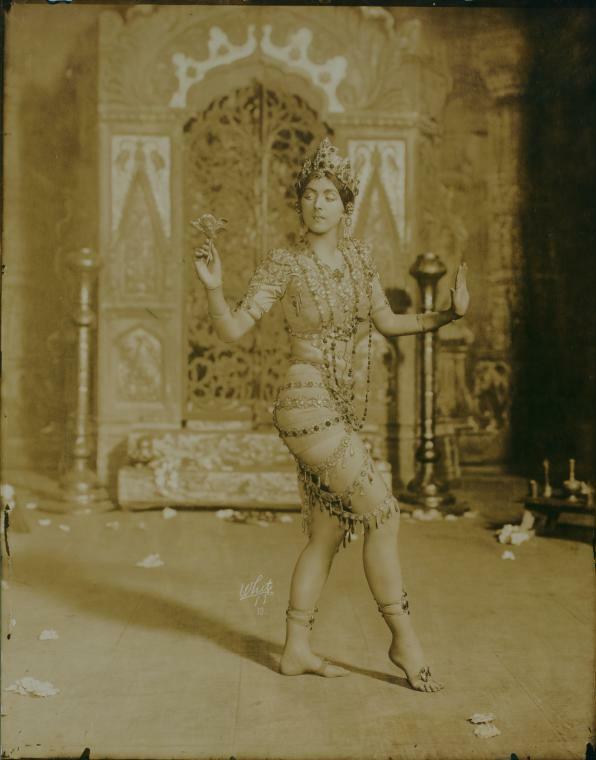 Ruth St Denis in 'The Incense'. (Image courtesy: New York Public Library). 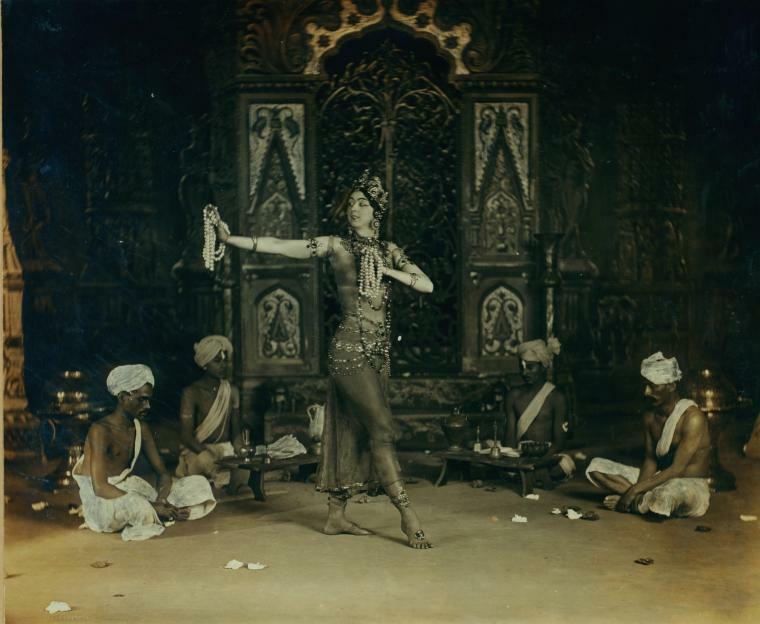 Ruth St Denis in 'East Indian Nautch Dance'. (Image courtesy: New York Public Library). Denis also incorporated influences from Egyptian and African dance forms and religious practices into her performances. In an essay on Denis, Thom Hecht, a Harvard Fellow, wrote: “St. Denis’s drive to foster the divine and spiritual within the human accompanied her throughout life… [Her] repertoire addressed a select audience, which enjoyed the eclectic mixture of eroticism and sensuality that was rooted in her deep passion for spiritual practices”. In The Cobras, which is set in a street in India, Denis was the snake-charmer, captivating the audiences with her movements, the emerald rings on her finger glinting like the eyes of a snake. While, in Radha, she engaged with her understanding of Indian temple dances. 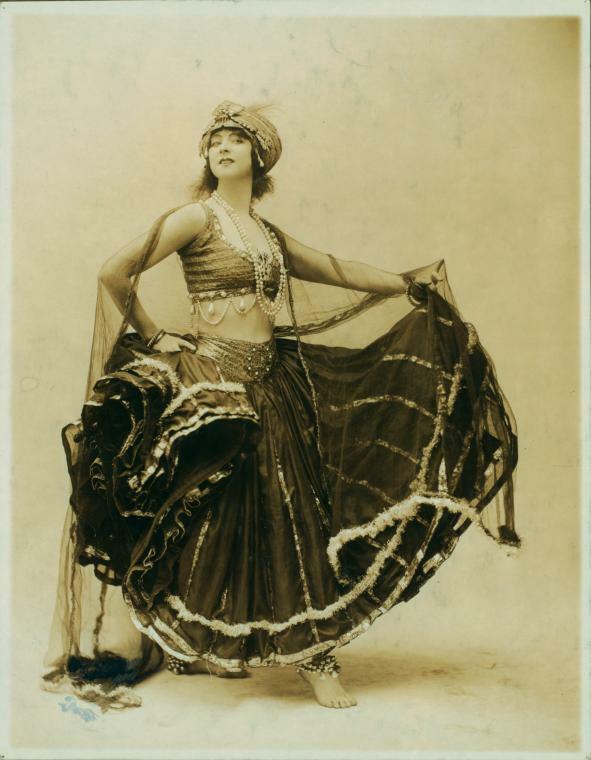 Ruth St. Denis in 'Radha'. (Image courtesy: New York Public Library). Though not particularly accurate, her dances were expressive of the themes she perceived in a culture that she was mostly a stranger to. Denis died at the age of 89, but left behind a rich legacy that is till date a part of the repertoire of many dance companies, with her signature solos becoming a part of the The Art Of The Solo, a showcase of famous solos of modern dance pioneers.